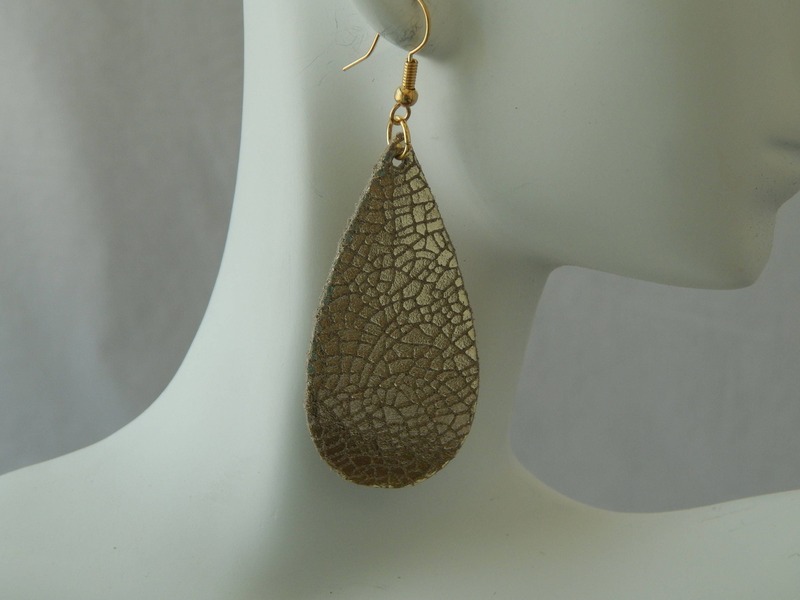 Small gold teardrop shape leather earrings hang from 18kt gold plated earwires.The leather has a crackle effect giving it a unique look. 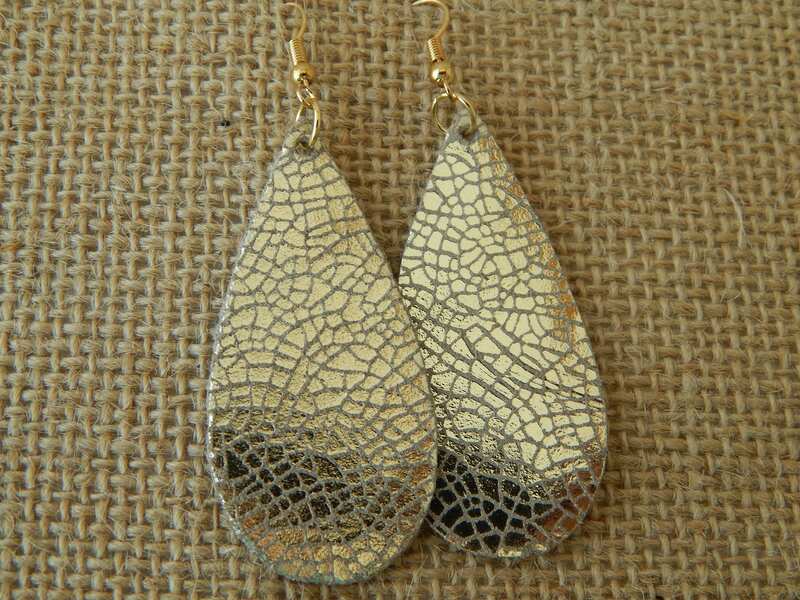 Light weight and easy to wear you'll be reaching for these earrings everyday. 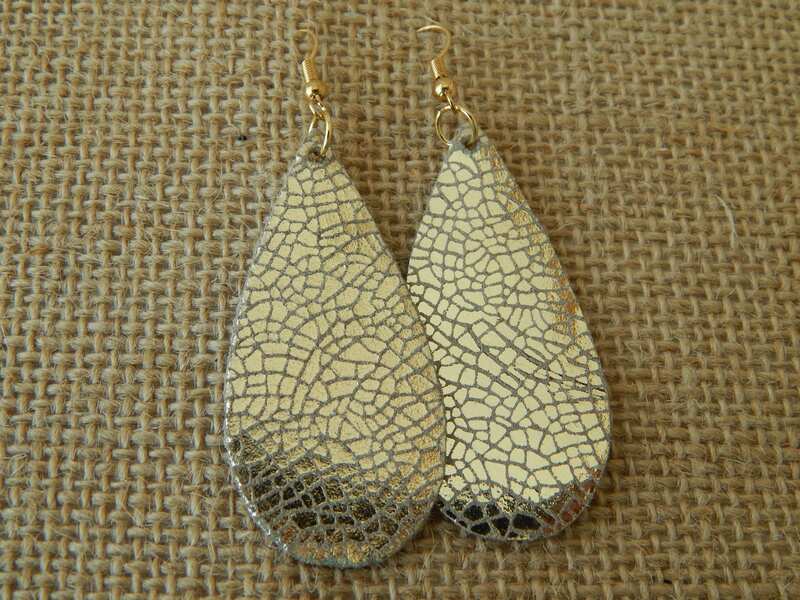 Earrings measure 2inches long. 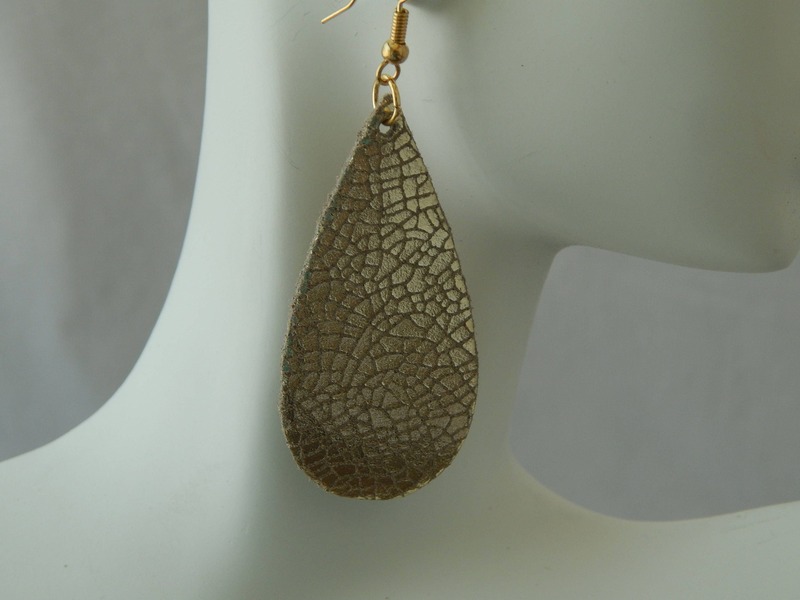 Earwires come in either 18kt gold plated brass or 14kt gold filled. Just make your selection at checkout.